There have been several concepts that have no predictive value in an era of reductive science, but nonetheless contain poetic truth. One of these is the notion that the atom is a microcosm of the solar system, the galaxy, and possibly the universe. You will not be able to predict quantum properties of atomic particles with this model, but there remains something fundamental about lighter objects spinning around concentrations of mass. 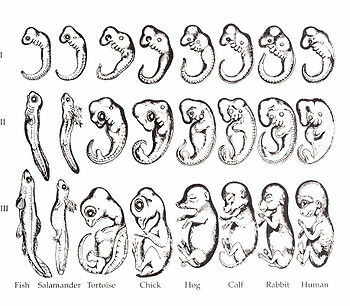 Another of these poetic concepts is ontogeny repeating phylogeny, the notion that the development of a complex organism from a single cell repeats the evolution of complex organisms from single cellular life forms. Once again, you will be unable to make specific predictions, but there is obviously something fundamental here. My intention is to submit another fundamental notion: that a trip to the alpine zone is a trip back in time, perhaps 2.5 billion years, to conditions similar to the seashore at that time as photosynthesizing creatures first washed out of the oceans to live on land. I have always loved the alpine zone because one can sleep on the ground and roust about climbing and never get dirty. The reason for this is very simple, there is no dirt. The reason there is no dirt is there are no plants. Plants make dirt. 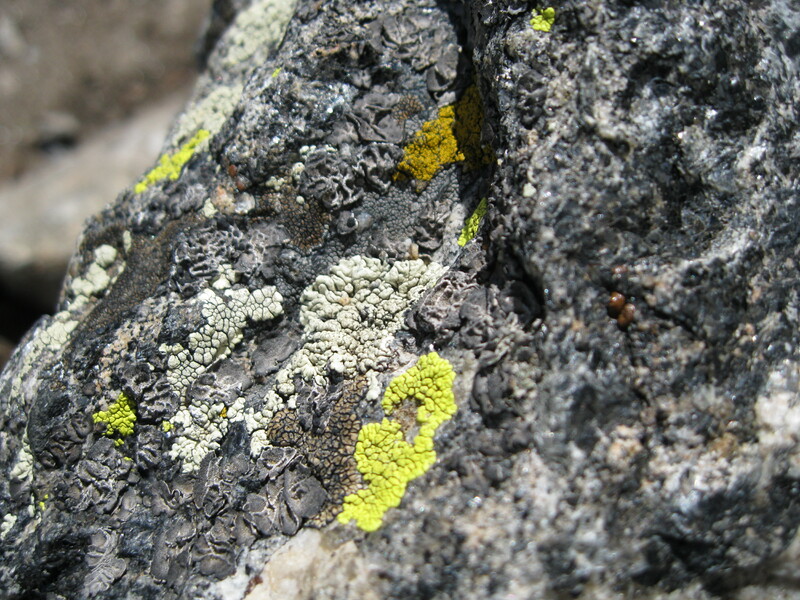 In the alpine zone today we find lichens, business partnerships between fungi and either alga or photosynthesizing bacteria. The microbes have been businessmen for a very long time. There is evidence for similar partnerships between photosynthesizing and filamental bacteria and between bacteria and alga. Eating rocks is a tough business to be in, and it is even tougher on land than under water. Call the alpine zone the final frontier in the colonization of land. This entry was posted in Biology, Geography, Geology, History of Life, Metaphor, Wilderness and tagged Algae, Alpine tundra, Organism, Photosynthesis, Plants Make Dirt. Bookmark the permalink.